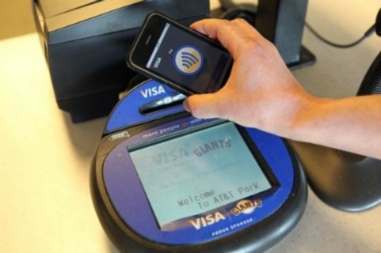 New reports on Near Field Communication (NFC) suggest its use will increase dramatically in the next couple of years. Products that support NFC today are still limited, but it is predicted that in the following years, the growth of NFC will enhance customer experience and customer service everywhere. The use of Near Field Communication as an alternative to paper tickets and credit cards make it the mobile commerce market’s fastest growing area. NFC has already gotten the attention of consumers, businesses, marketers, start-ups and venture capitalists, as it connects consumers interactively with businesses in various engaging ways. It is expected to bring in billions of dollars of revenue from user data, mobile-powered devices and marketing services. NFC is set to change the way people shop all over the world, in grocery stores, movie theaters, coffee shops, hotels, buses and trains. According to MarketResearch.com‘s new Software and Services market report entitled “Near Field Communication (NFC) Market Global Forecast & Analysis (2011-2016) By Products”, only a few products in the market today use NFC technology, but it is expected that there will be a dramatic growth in applications that use it. Currently only 5% of all smart phones and mobile devices are NFC-enabled. It is estimated that NFC support for mobile devices will increase in the next 5 years and by 2016, 46% of smart phones will be NFC-enabled. Revenue in NFC is expected to grow at an estimated compound annual growth rate (CAGR) of 35% from $7,686 million in 2011 to $34,515 million in 2016. They predict that the most attractive segment is mobile payments, with ticketing and access control a close second. The major manufacturers for NFC chips and controllers are American companies NXP Semiconductors and Broadcom as well as the Japanese company Renesas. In Juniper Research‘s report called “Mobile Ticketing Evolution: NFC, Forecasts & Markets 2012-2016”, 13% or 1 in 8 American and West European mobile users will use their mobile phone as a bus ticket or metro rail by 2016 using NFC technology. This is compared to less than 1% today. Commuters can tap their NFC-enabled mobile devices against a fare gate to board trains or buses. Mobile NFC transactions are estimated to be at $74 billion by 2015. Mobile ticketing is expected to quadruple in 2013 to 23 billion transactions. They estimate that in 2016 it will represent more than 50% of all mobile ticketing revenue due to its appeal for users and transport operators.